Telemetric.io - Monitor daily changes to any MySQL table, for free. Monitor daily changes to any MySQL table, for free. Monitor totals, sums, averages, minimums, maximums, or custom queries. With nothing to install, getting started couldn't be easier. Simply enter the remote connection details for your MySQL database, and choose what you want to track. You can even use custom SQL queries to get really specific. We'll ping your database once per hour to get the latest value, and keep daily checkpoints. 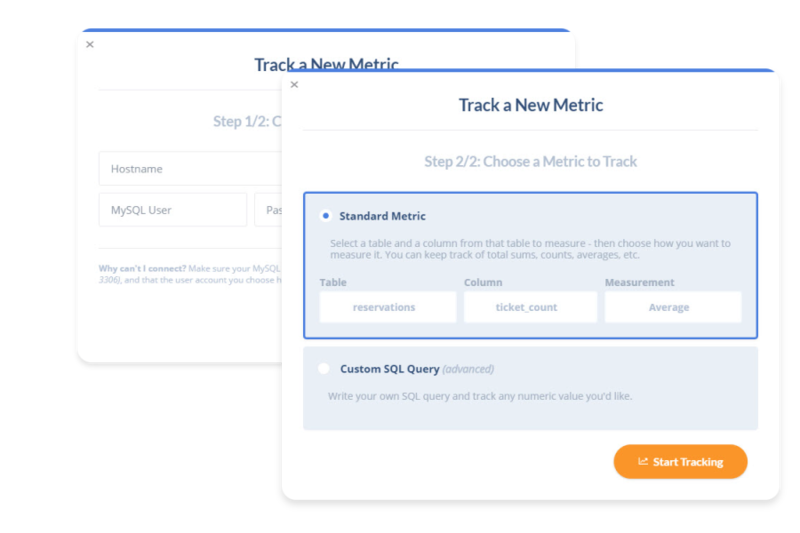 Track up to 25 metrics at any given time, with 12 months of history. 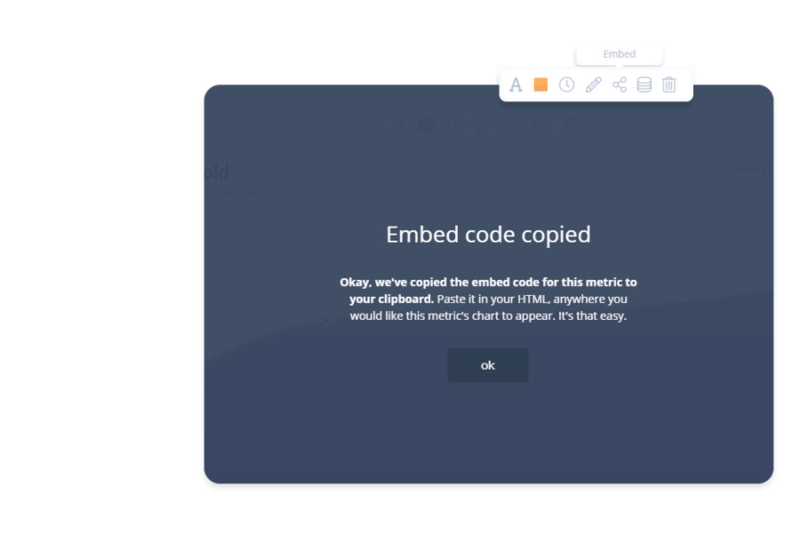 As data is collected, we generate beautiful responsive charts that can be embedded anywhere you'd like. 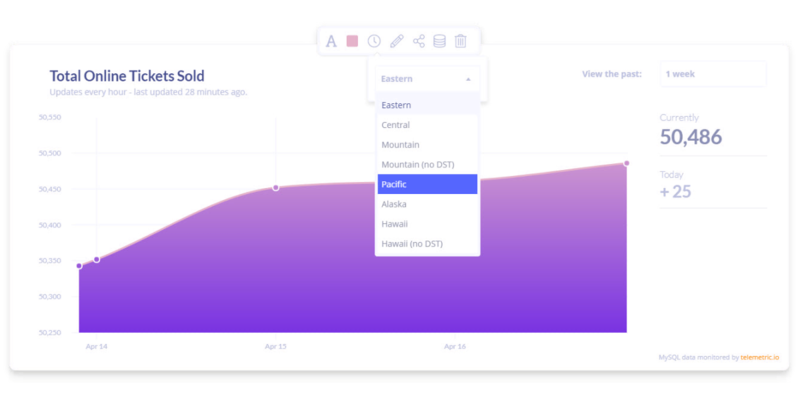 Adjust settings like title, colors, and formatting - and watch your trends grow over time. SQL query for this example: "SELECT COUNT(id) FROM ebook_downloads"
Is it really free - there's no paid version? Yes. It's a fully-featured free tool. We may one day offer a premium version, but our free service has plentiful limits and isn't going anywhere. What MySQL data can I keep track of? You can track total record counts, sums, averages - any aggregate value. You can also write your own SQL queries for complex metrics. Telemetric.io remotely connects using basic credentials - there's nothing to install. We only use SELECT queries, so your data is safe. We limit each account to monitoring up to 25 metrics at a time, and we store those results for 12 months. Need more room? Contact us. No credit card required. Sign up in seconds. Yes - it's free forever.